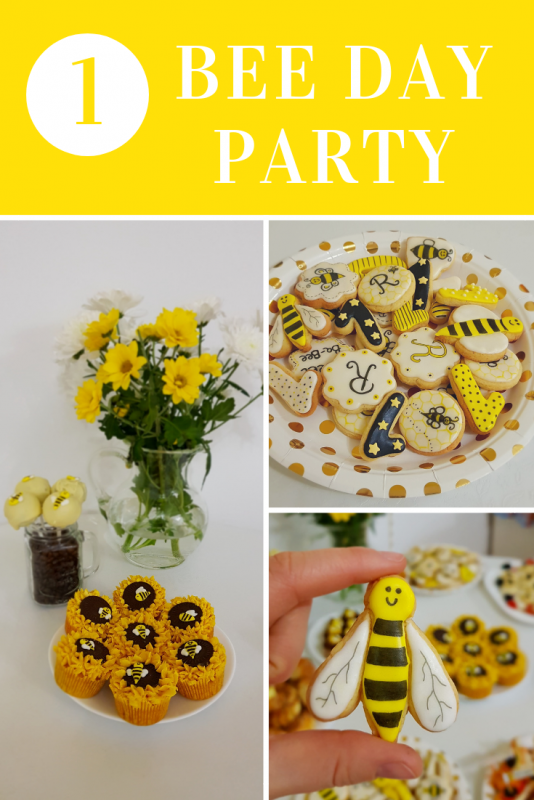 Who doesn’t want themed parties? 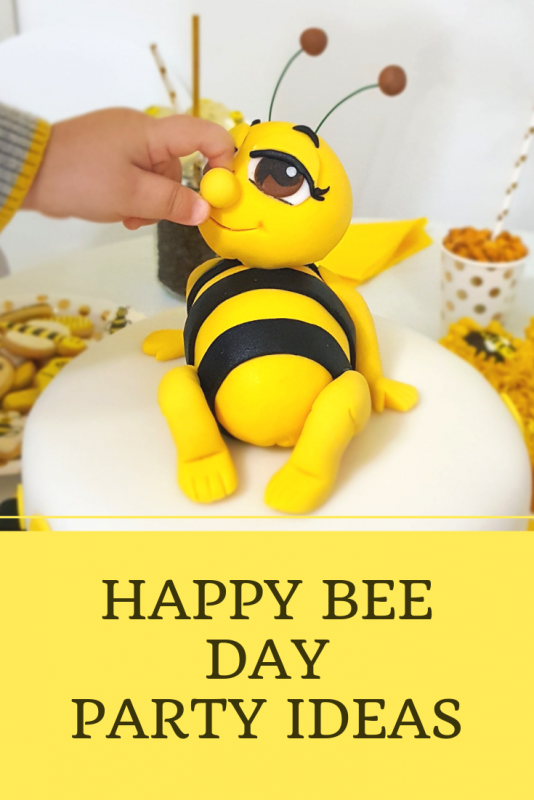 They are so fun to attend to, even more fun if you’re organizing them. 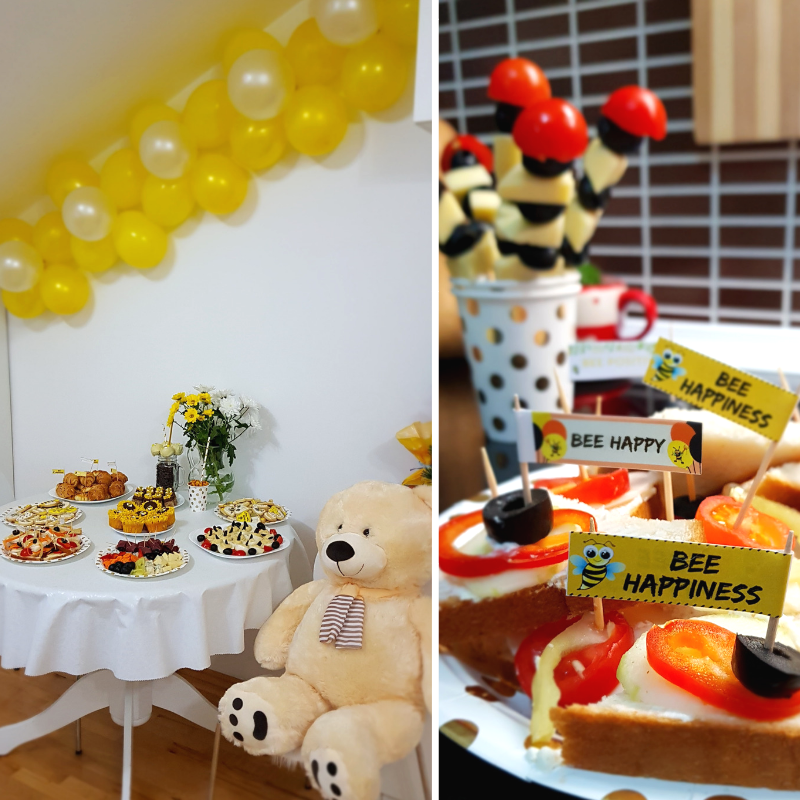 Me and my sister organized this Bee Themed 1st Birthday Celebration for her son, because he is impressed by children TV Shows with bees. 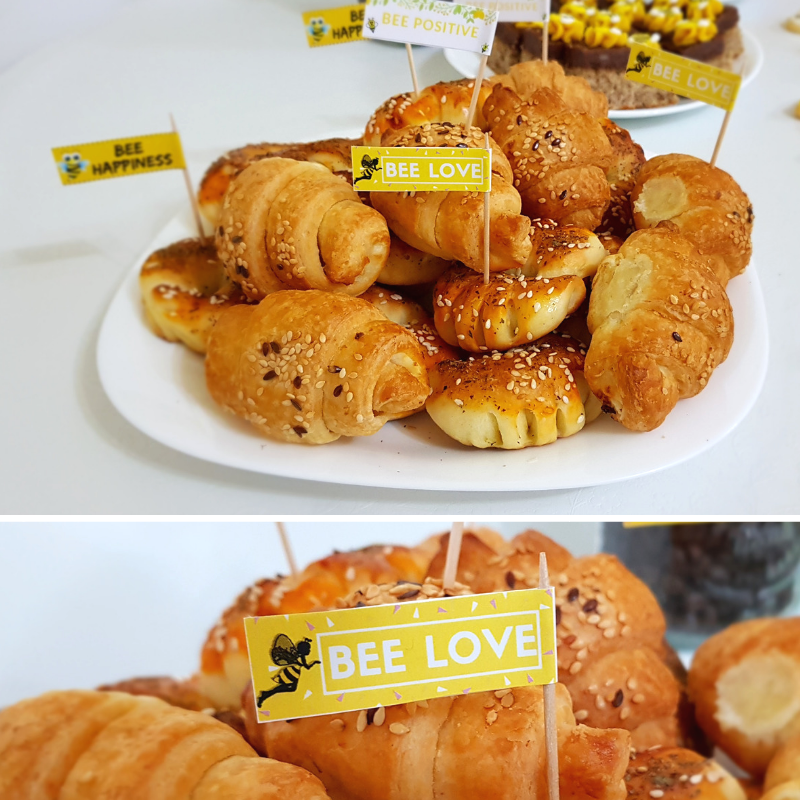 It was a small Bee party, so we weren’t stressed about preparing large quantities. 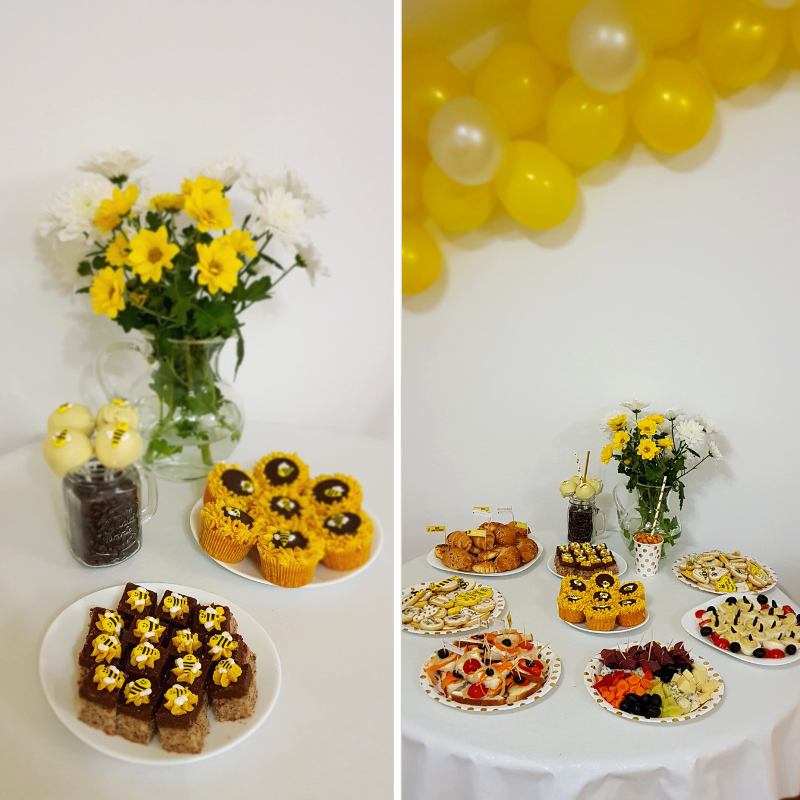 My sister was cooking all the savory dishes, I was in charge of the sweets (except the cake – we hired a cake boutique to prepare it for us) and for designing the printables, and my mother contributed with few dishes herself. 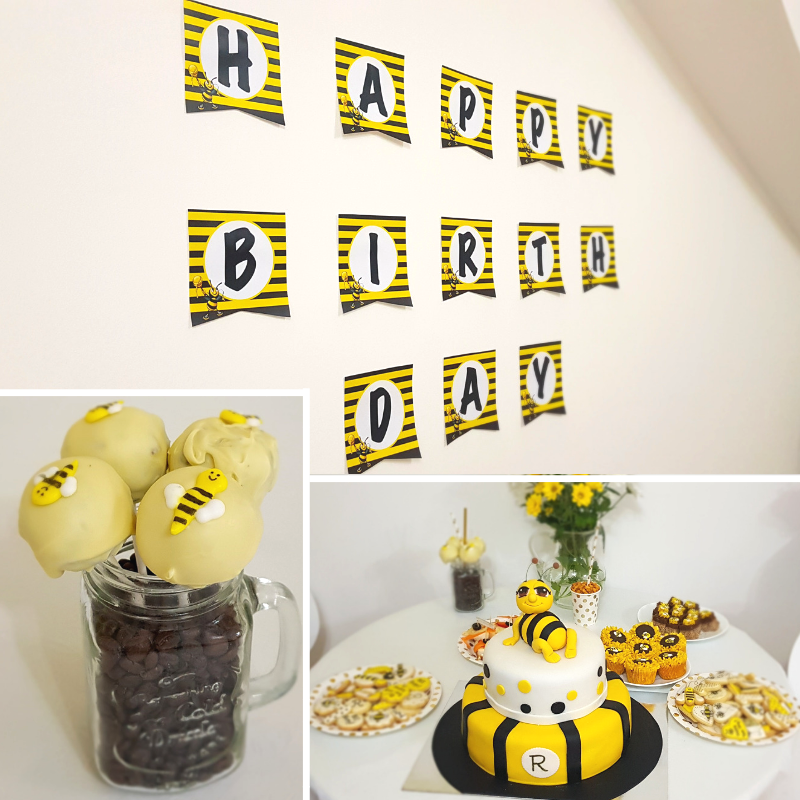 Most of the food was made one day ahead, like the cream salads, choux pastry, bee muffins, walnut nutmeg cake and cake pops. 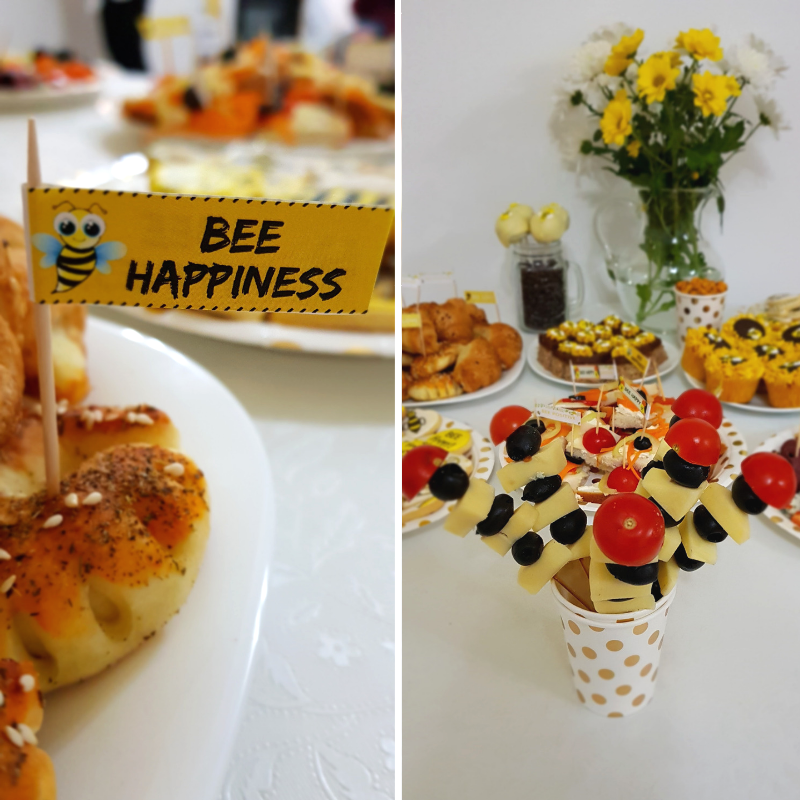 On the day of the celebration we made the deviled eggs, mini toasts with cream cheese and vegetables, charcuterie plates, skewers with cheese, black olives and cherry tomatoes, mini croissants and mini pizza kifli. 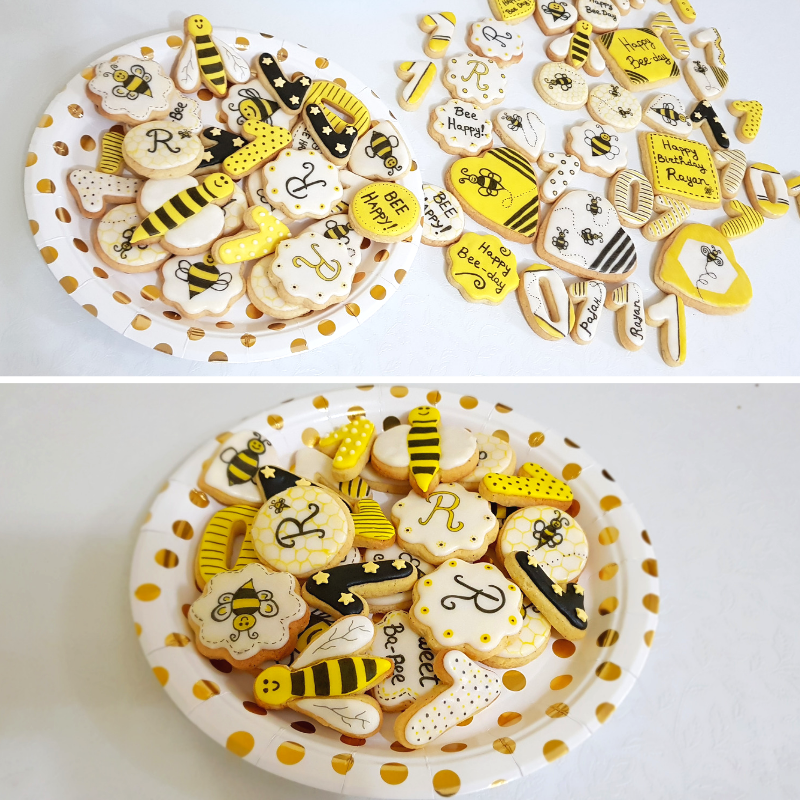 I was making the cookies for 3 days, easy and slowly, because I wanted to enjoy the process. 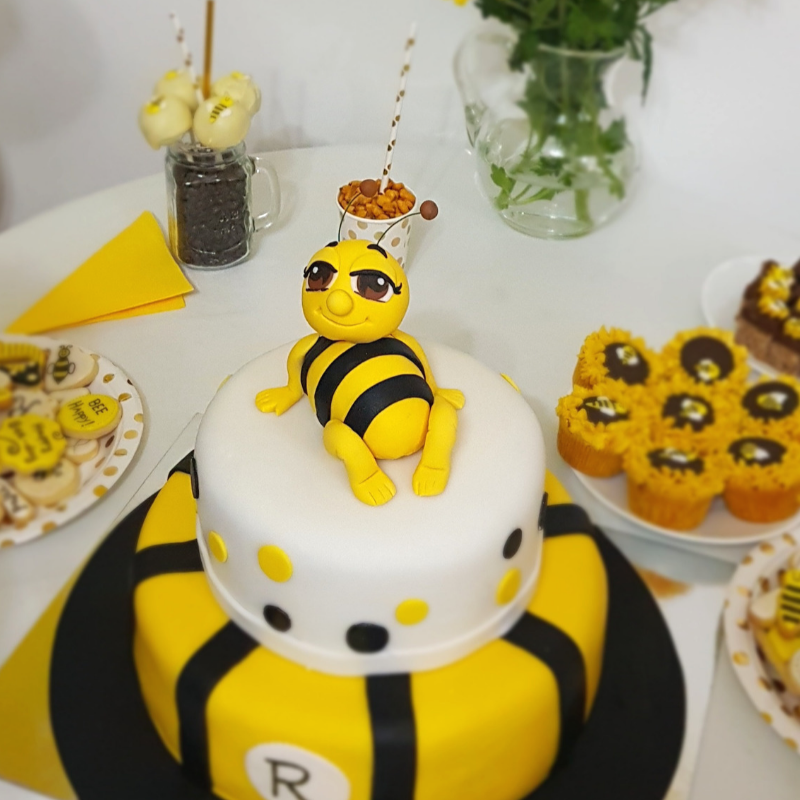 The first day I baked them, the second day I iced them with royal icing (white, yellow and black) and on the third day (fun day) I was decorating them. 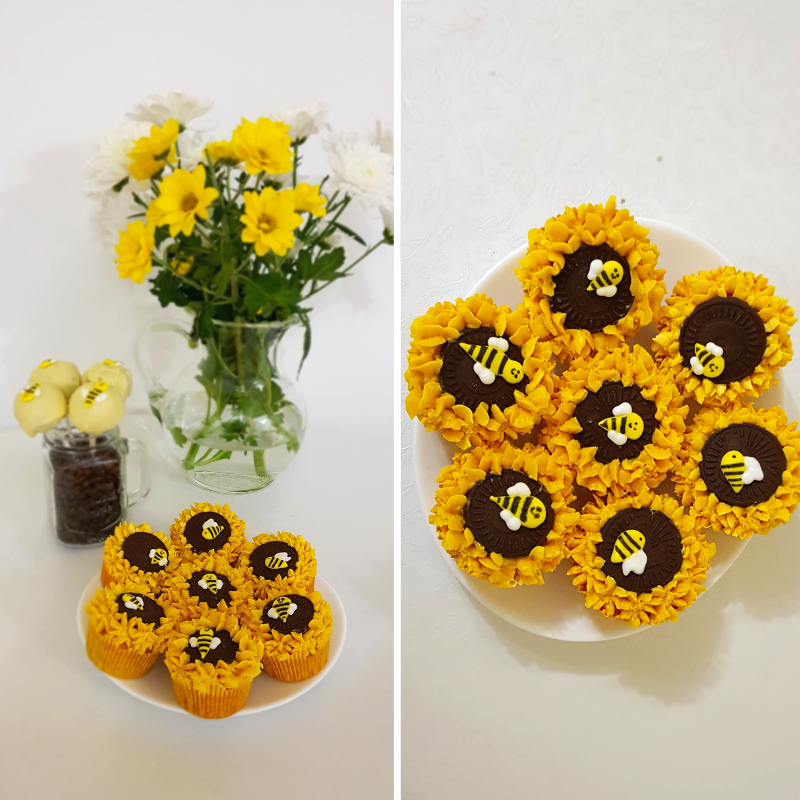 I used edible pen for decorating, because it’s so much easier than using a piping bag. 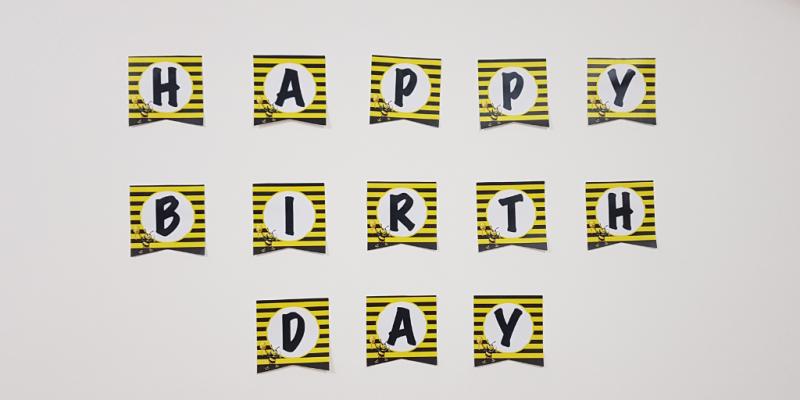 This way you can concentrate on the details and if you make a mistake you can easily fix it. 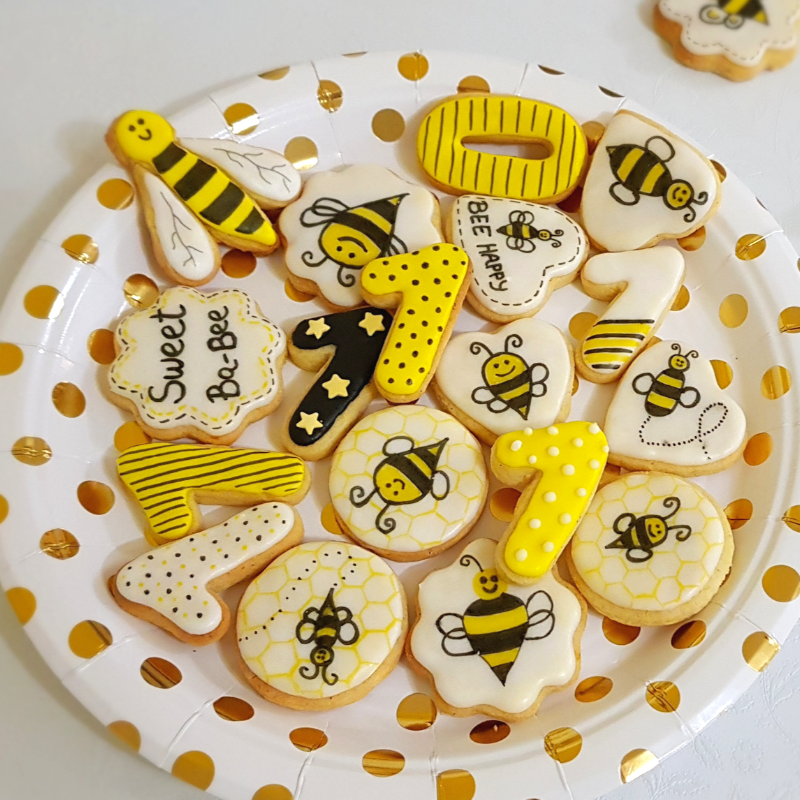 But before you draw on the cookie with the pen, make sure the icing is totally dried, otherwise you will make a hole on the semidried iced cookie. 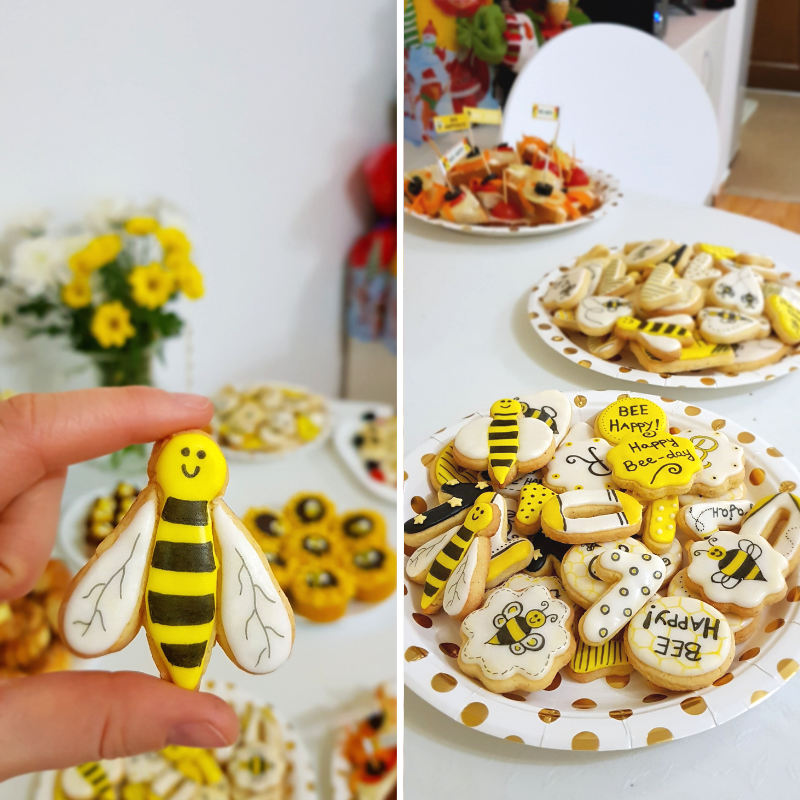 I also made royal icing bee decorations for the other desserts. 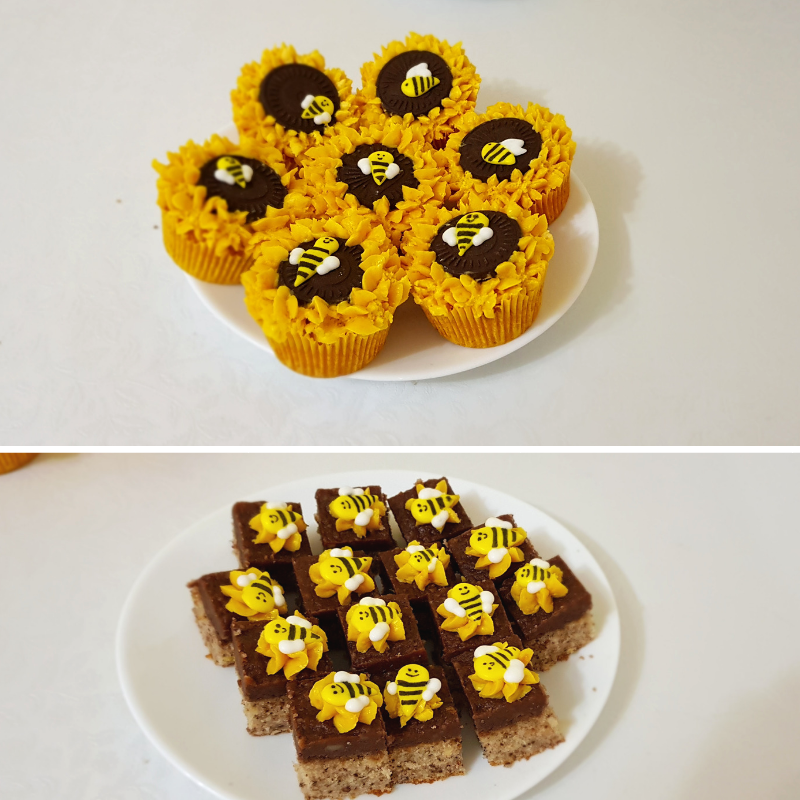 I made them on a parchment paper and I waited overnight for the icing to be fully dried. If you have leftovers, just put them in a glass jar and keep them in the freezer. 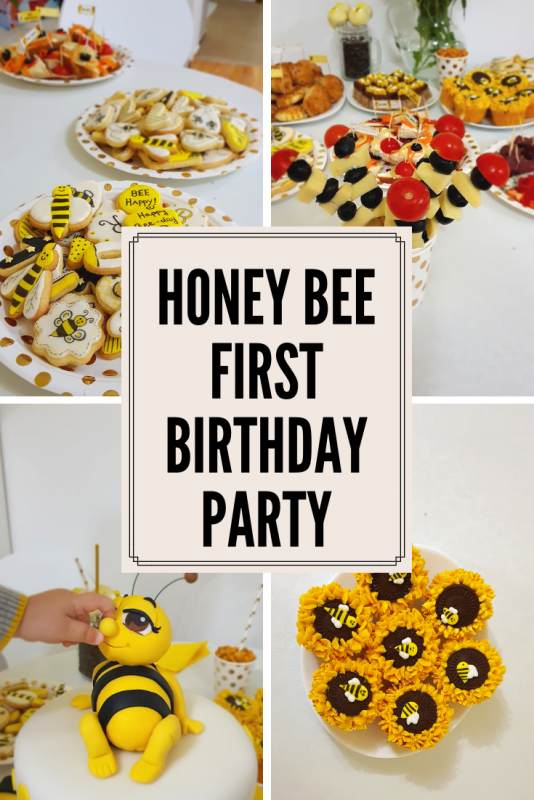 We really enjoyed this Bee Party, especially the children. 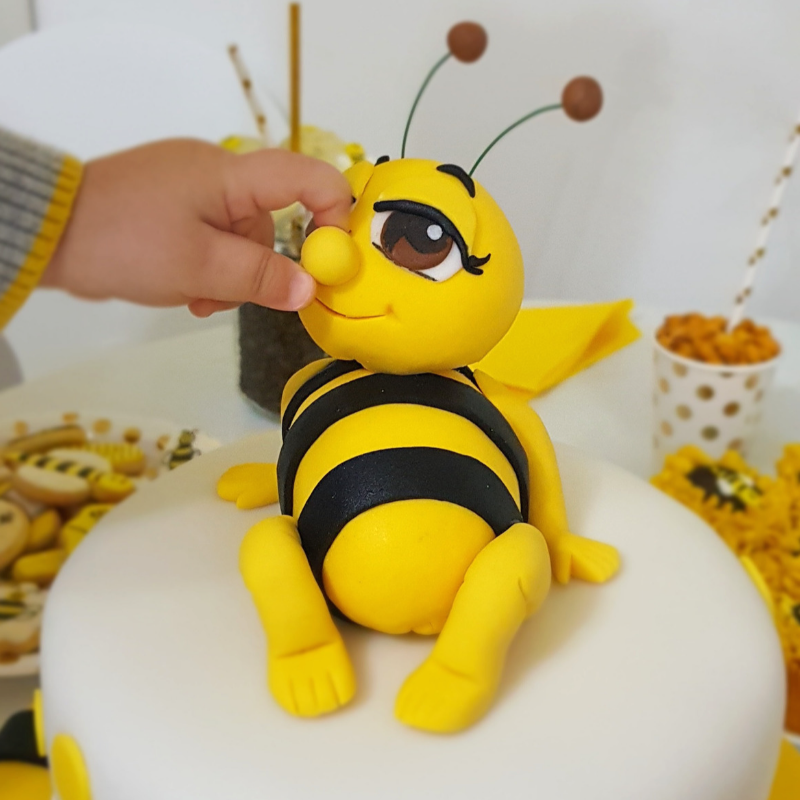 Can’t wait for the next year to come so we can make another themed celebration. 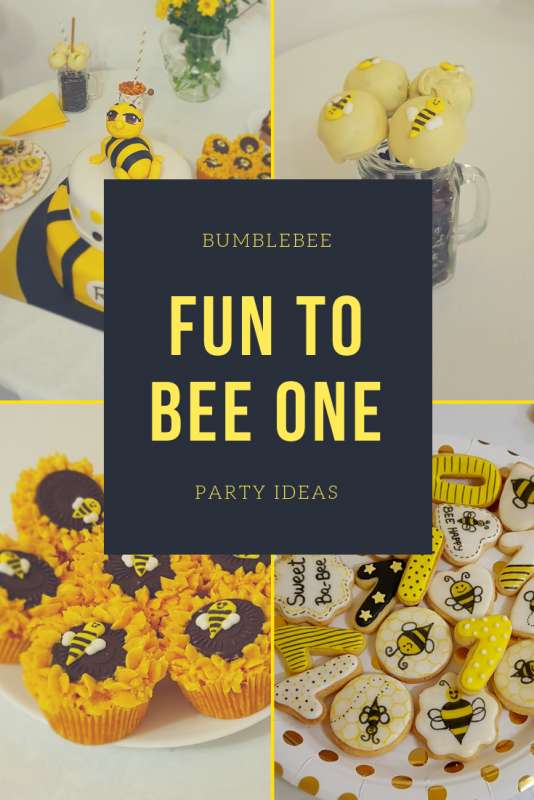 Please share any ideas about themed parties we can make for our children.